Containers make it easier to deploy applications with all their libraries and dependencies, though in many cases organizations do have to change their workflow to accommodate the new technology. That can cause adoption of container technology to stall inside organizations when the change is driven by operations, noted Gabe Monroy, the Microsoft’s lead program manager for containers on Azure. This is a problem Monroy believes a new open-source Kubernetes deployment tool called Draft can fix. Monroy is the former chief technology officer for Deis, a company that Microsoft is in the process of acquiring. 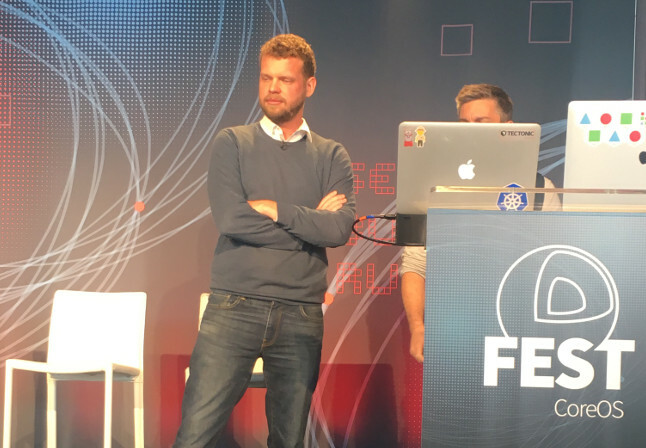 The company unveiled this technology at the CoreOS user conference, being held this week in San Francisco. “Draft is solving what I think is the number one problem facing organizations that are trying to adopt containers at scale. When the operations and IT teams in a company have bought into the idea of containers and they stand up Kubernetes clusters and have some initial wins, they turn around ready to unleash this to a team of a thousand Java developers — and the reaction they get is like deer in the headlights. It’s too complicated, it’s too much conceptual overhead; this is just too hard for us. In other words, operations teams need to make Kubernetes easier and more palatable for software teams. Draft reduces that conceptual overhead by taking away most of the requirements for using Kubernetes; developers don’t even need to have Docker or Kubernetes on their laptop — just the Draft binary. Helm is the Kubernetes package manager developed and supported by Deis. That language detection is based on configurable Draft “packs,” which contain a detection script, a Dockerfile and a Helm Chart. By default, Draft comes with packs for Python, Node.js, Java, Ruby, PHP and Go. Microsoft is likely to come out with more packs — TypeScript is under consideration — but Monroy expects the community to build more packs to support different languages, frameworks and runtimes. The container can be a Windows or Linux Docker container; “we’re targeting all the platforms,” Monroy confirmed, and in time that will include Linux Docker containers running on Windows 10 and Windows Server 2016 directly through Hyper-V (rather than in a virtual machine). The Docker registry details needed for that will have been set up by the operations team as part of providing Draft to developers. “Now you go into to your IDE, whatever IDE that is, make a change and save your code. The minute that save happens, Draft detects it and redeploys up to the Kubernetes cluster and it’s available in seconds,’ Monroy said. Those commands could easily be integrated into an IDE directly, but either way, it’s a much smaller change to a developer workflow than targeting Docker or Kubernetes directly. Writing build and deployment configuration to the source tree makes Draft a better fit for the kind of continuous integration and development pipelines that drive DevOps than PaaS, especially when it comes to build testing. Typically, PaaS systems have not integrated well with continuous integration and deployment pipelines where developers check code into source control and then the continuous integration system pulls it out and builds it, and tests it and stages it and then it gets rolled to production. “Draft solves this because it drops the configuration into the source control repo and the continuous integration pipeline can pick it up from there,” Monroy said. There are few other tools aimed at helping fit Docker into the developer workflow the way Draft does. “We see a lot of people use Docker Compose but the problem is that requires Docker on a laptop, which not every organization is willing to roll out across their entire fleet,” he noted. Docker Compose and tools like Bitnami Kompose use the Docker data model; Draft uses the Kubernetes data model, which Monroy called “much richer and much higher fidelity”. Draft ships the entire source tree to the Kubernetes cluster and builds the containers there, which is how it gets around the need to have Docker on the developer’s system. “If you have a massive repo there could be some latency there,” warned Monroy. If that’s an issue, Draft can work equally well with a Kubernetes cluster on a laptop though, and for some organizations, it will replace even slower processes. One large company wanting to move its 10,000-plus Java developers to Kubernetes has been using Cloud Foundry and cf push; they’re very keen to use Draft instead. “The real problem I think, is that it’s still too hard to build applications. We have a lot of the pieces but we haven’t started to actually show a way things could come together,” Burns said. Draft fits in neatly with developments like service brokers and managing secrets for applications in containers and improving developer productivity with features like remote debugging in the cloud. Feature image: CoreOS’ Alex Polvi and Microsoft’s Gabe Monroy (partially hidden) demonstrate Draft at CoreOS Fest. Photo by Alex Williams.